I started to have visions of myself making up some of the lost time from swimming with a super-quick sprint to the finish line. Think Usain Bolt crossed with a short white chick. Or that person’s slightly slower third cousin twice removed. The pain I experience when running is non-existent when walking or if I’m on the elliptical trainer. It is worse in my knees, mostly around the outside of the knee cap. It starts suddenly after about five minutes of running and feels like my knees have nails hammered into them and the nails don’t want my knees to bend. The ankle and hip pain is bearable but the knee pain is not; even doing the 5km fun run with Grandpa in June was complete agony. There are plenty of workouts you can do without running so for the past 5 years I have simply been avoiding anything that would bring on the pain, except for the odd occasion where we were stuck camping in the middle of the countryside with no elliptical machine, or when I signed myself up for some kind of group running activity. 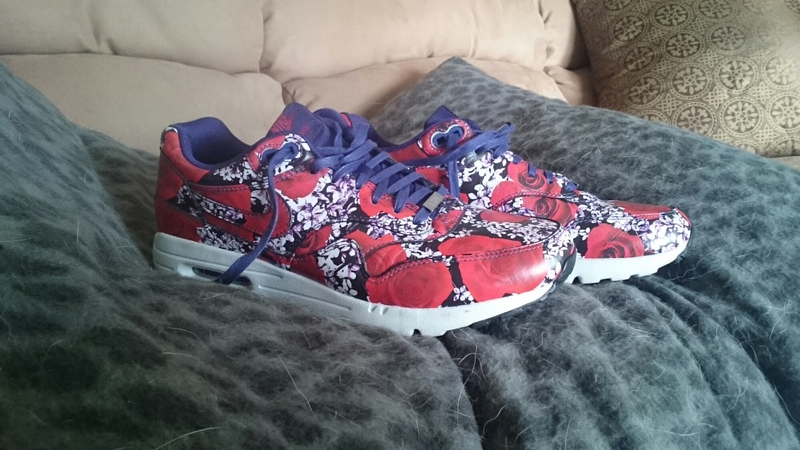 The obvious answer to my pain seemed to be that I needed those ugly orthotic shoes you see in the waiting room at the Doctors’ Surgery. Something to support my arches, stop my knees falling inwards, that sort of thing. Probably baby-poo brown and made of ‘pleather’. The only reason I’ve never bothered to go down this road before is that it simply goes against my shopping mantra to spend good money on ugly things. But I remembered the hideous tri suit I would be wearing anyway, took a deep breath, and made an appointment with the podiatrist. As soon as I did it, I was excited. Thrilled at the prospect of becoming a champion runner, I was planning training runs, googling local marathons, internet shopping for running socks… out of control. A week later I sat in the podiatrist’s office and she broke the news to me that although my hip pain would benefit from orthotics, she could not see a direct correlation between the knee pain I was describing and my feet. I got some good news alongside this: podiatrist agreed that yes I walk strangely, with a hard heel-strike, over-pronation and a ‘twist and flick’ of my right foot only. She told me that I have quite stiff ankles (possibly from sprains from when I was younger) which could be causing me painful ankles when I run and orthotics would help with this as well as my hip pain. So I ordered the Orthotics (luckily, just plastic inserts I can put in any pretty shoes my heart desires) and the podiatrist strapped my feet to simulate the effect that I might get from the insoles. 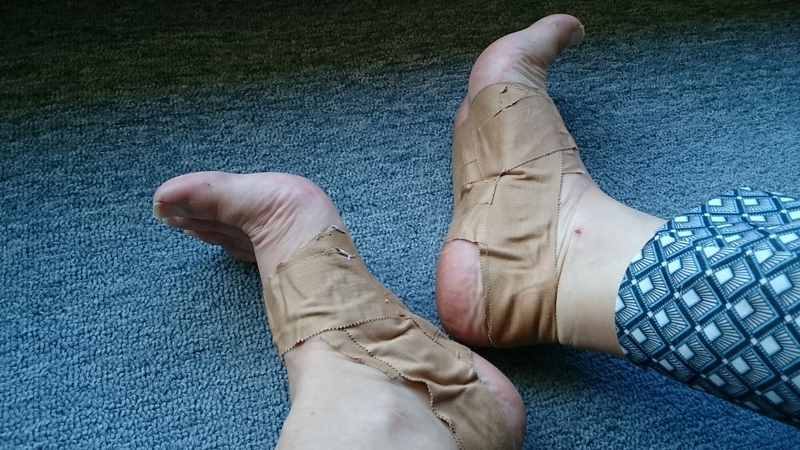 The strapping definitely felt nice, like my feet were being held firm by over-starched, sticky socks. But nicer than that. You can try it yourself if you get a roll of tape and google the instructions for ‘Low Dye Strap’. I could feel I was walking differently; Shane agreed that it appeared I had stopped waddling like a duck and the podiatrist said I was engaging my glutes as I pranced around her office (apparently there was no glute engagement before) so I must admit I was quite excited that I had somehow been cured. In complete denial, I went for a run the very next morning with the strapping on my feet. At 10 minutes in, the pain started. At 20 minutes, it was agonizing. I forced myself onward and made it to 35 minutes, when I had to slow to a walk. It was time once again to Google. 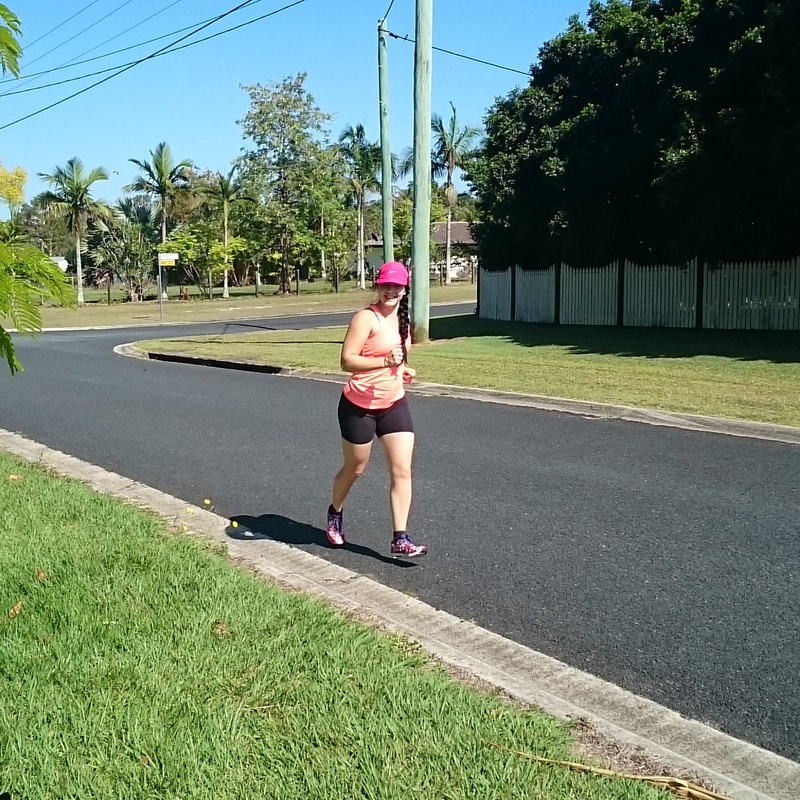 This entry was posted in Show Me Run, Show Me Shopping and tagged bribie, knee pain, orthotics, running, shoes, triathlon. Bookmark the permalink.